I’ve been in London for almost two weeks now, so I think it’s time to get caught up with my blogging! I spent the first week of September backpacking around Croatia with Lisa (more about that in my next blog entry) and I’ve been settling into London over the past week and a half! I’ve moved into my new flat and so far I love it! 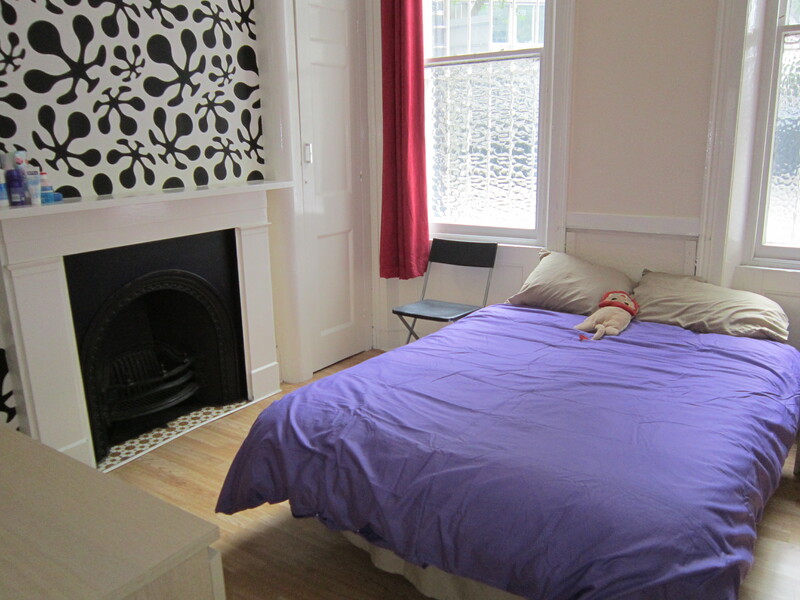 I have a nice room on the ground floor with a double bed and lots of space. Best of all, I have a kitchen and wifi, which is a huge improvement over my stay at the YMCA last winter. I couldn’t have asked for a better first week back! After settling in, I managed to see some of the last few events for the Olympics. I was lucky enough to catch the end of the marathon for the Paralympics. I hung around the public viewing area at the end of the race and managed to see a few athletes crossing the line! 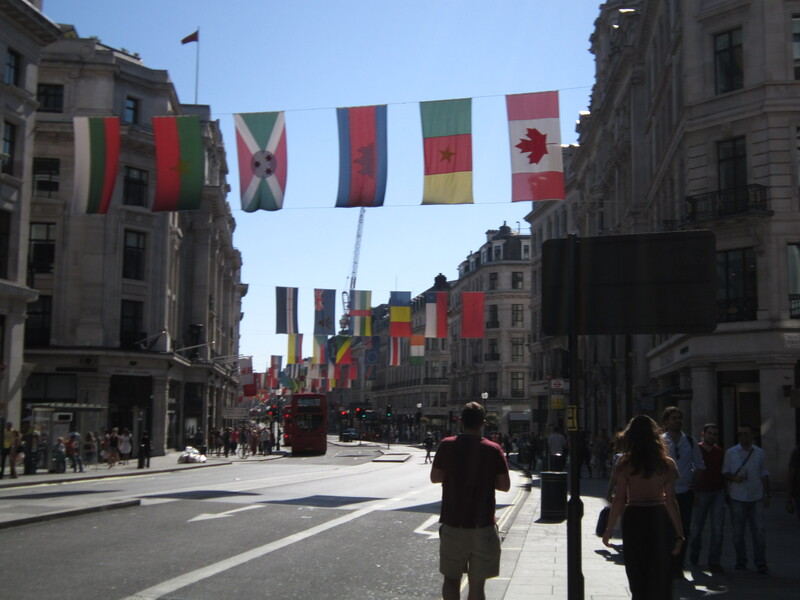 I also went to the parade for all of Great Britain’s athletes from both the Olympics and the Paralympics. It was pretty exciting to watch all the athletes go through the city with their medals! I was also lucky enough to go to two concerts my first week. 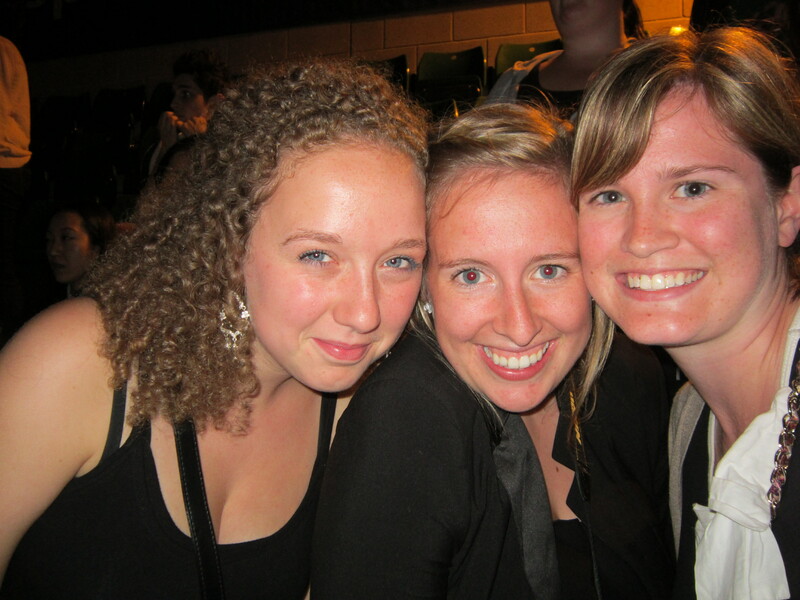 Right after arriving, I went to see Lady Gaga perform in Twickenham with Lisa and Philippa! I’d describe her show as more of a production than a concert. The set was a huge castle and the entire show told a story, although it was Lady Gaga, so it was a pretty messed up story. She may be a little bit crazy, but she’s definitely an entertainer. She performed all of her hits, complete with intense dance sequences and about a dozen costume changes! Later in the week, I went to see The Script at a much smaller venue. I wasn’t really sure what to expect, but they were really fun to watch and I really enjoyed their show as well! I did start work last week as well. It’s always nice to go back to a company and actually have an idea of what’s going on. I was able to jump right back into stuff and I’ve been enjoying it so far. Unfortunately, my friend Etienne is moved to Singapore with LMC last week, so I went to his going away party to say goodbye to him as well. This past weekend I did a bit of shopping in Camden with Lisa and Philippa, and on Sunday I caught up with some of the friends I met last semester! I’ve starting going back to the Salvation Army church that I attended in the Winter and I’ve also starting going to the Hillsong Church here in London. I attended it a few times last semester some friends and the energy there is really great, so I figure I’ll check it out a few more times this semester! I’m excited for this upcoming weekend because me and my flatmates have decided to rent a car and take a small road trip to get outside of London and see some more of the UK! I’m living with 5 other people, so it’s always a bit busy, but so far everyone is really great and I’m enjoying it. Aside from that, Rocky has come for a visit again and so hopefully I’ll get to see him soon! Of course, I’m still missing everyone back home and I’d love to hear from you, so skype me! Totally enjoyed reading blog. Nice room and clean too! Who knew? Glad you are settling in and miss you tons. Great to hear from you. Glad all is well. Take care.